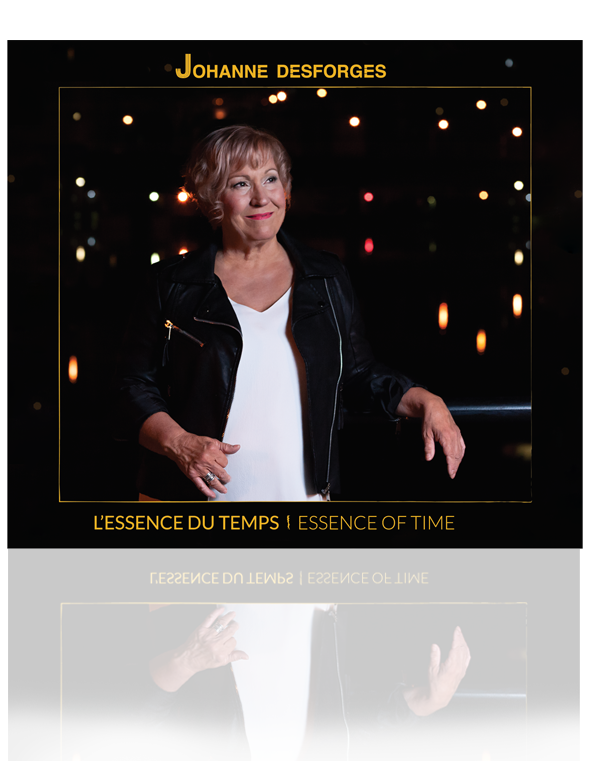 From the first song “Le Temps” of the recording we the listeners are awakened to the quality and sensibility of a melodious and evolving expedition of personal devotion to each tuneful performance of this entertaining voyage that we are about to take. Johanne’s authentically unique style of interpretation, storytelling, phrasing and rhythmic poetry is evident and captured on a scale of its highest form in vivid and penetrating depths of sensations and defined in the narratives of original compositions, laced with intriguing exploration, while the more well-known traditional Jazz Standard are as captivating and imaginative, and seemingly being heard for the first time, supporting skillfully the “Essence of Time”. Inventive and crafted arrangements are shaped expertly by the accompanying musicians providing a harmonious structure of extraordinarily gifted contributions. There by creating virtuosity between vocal and instruments. It is a beautifully woven collaboration from start to mastering, presenting us with a truly gratifying listening experience. 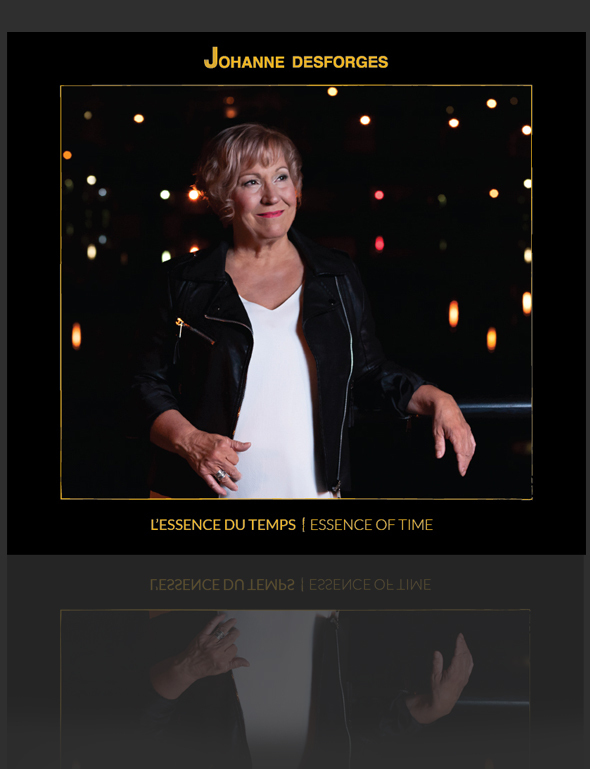 Here’s to the continued success of one of my favorite vocal jazz musician, Johanne Desforges!